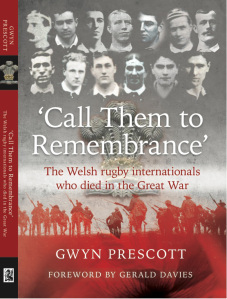 Over 130 rugby internationals died in the Great War. The oldest – and one of the most courageous – was fifty-nine year-old Richard Davies Garnons Williams. To put this in perspective, the Crimean War had only just ended when Richard was born on 15 June 1856. His place of birth was the tiny Radnorshire village of Llowes, where his father was vicar, but he came from a very old Breconshire landowning family of squires and parsons. 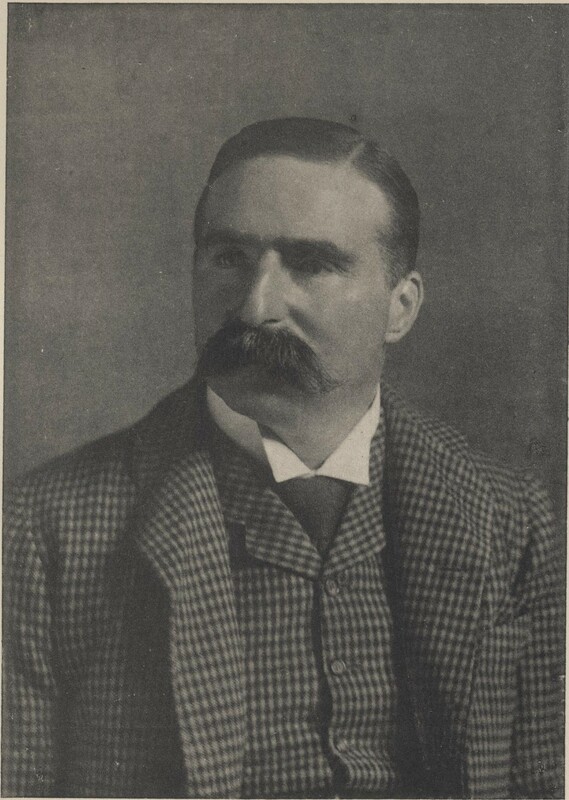 Richard was one of the early pioneers of rugby in Wales. He learned the game at his public school – Magdalen College School in Oxford – and later turned out occasionally for the Brecon club. He never attended Oxford University, so certainly could not have played for the Dark Blues, as is widely but incorrectly claimed. When he was eighteen, he went up to Trinity College, Cambridge but left after only a year to pursue a career in the Army, enrolling in 1876 at the Royal Military College Sandhurst, where he played for the XV. In 1877, Richard joined the 7th Regiment (later renamed the Royal Fusiliers) and was stationed in Hounslow, which enabled him to continue playing in the London area. However, during the 1880-1 season, he regularly travelled back to Wales to play, mainly as a forward, for the Newport club. 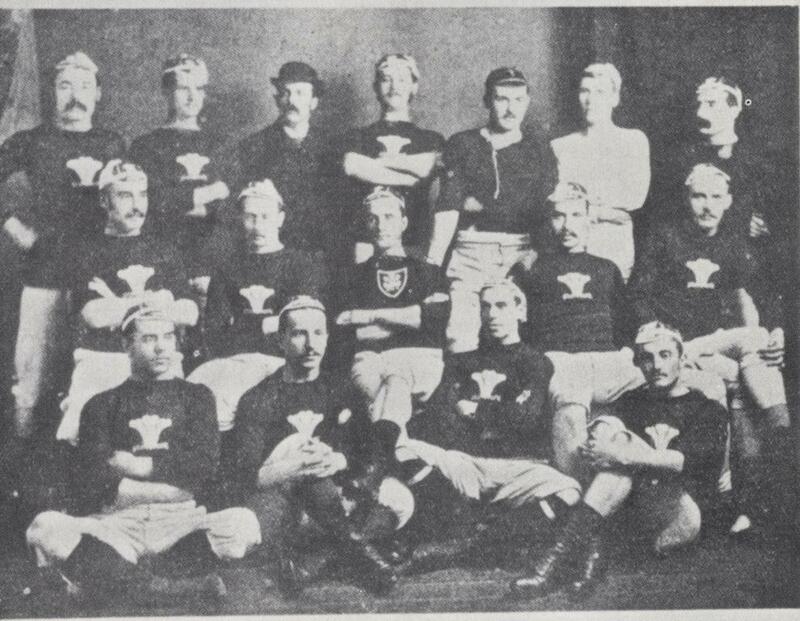 Following some good performances there, he was selected to represent Wales at forward in their first ever international match against England at Blackheath in February 1881. It was quite an achievement for Wales even to secure this fixture, as the Welsh game was very much in its infancy then. Ten years earlier, rugby had been virtually unknown there. There was no real prospect of Wales winning the match and they were completely overwhelmed, conceding thirteen tries in the process. Despite his team being reduced to thirteen players by half time (and some reports even claim Wales finished with only eleven fit men), Richard stuck manfully to his task as the depleted Welsh pack struggled to compete. This was his only appearance for Wales, because of the increasing demands of his military career. Posted to Gibraltar, he later saw active service with the Royal Fusiliers in Egypt. He retired from the regular Army in 1892 and then qualified as a barrister and acquired an estate near Hay-on-Wye. He remained involved with the military, however, serving as a major with the local Volunteers. On reaching fifty in 1906, he resigned his commission and, no doubt assuming his army days were well and truly behind him, he settled into a life of active public service in Breconshire. After his death, friends testified to his unusually strong sense of duty. They were not surprised when, despite his being fifty-eight and a family man, Richard immediately offered his services to the country again as soon as war broke out. His old regiment were forming a new “Service” battalion at Hounslow and, in late September 1914, with the rank of major, he was appointed second in command of this battalion, the 12th Royal Fusiliers. By then, it was thirty-three years since he had played international rugby. As part of the 73rd Brigade, 24th Division, the battalion landed in France in early September 1915 and were immediately allocated to the general reserve for the Battle of Loos. Despite receiving no training or preparation for trench warfare, they were ordered to the front, where the inexperienced troops arrived after enduring several exhausting night matches under wretched conditions. The battle opened on the 25th September and, late in the day, the weary 73rd Brigade was led off to relieve the 9th Scottish Division which had captured trenches at the Hohenzollern Redoubt. Inexplicably, at this crucial moment, the commanding officer of the 12th Royal Fusiliers was called up to the staff. Therefore just as they were going into action for the first time, Richard had to take command of the battalion and carry out the relief. For two days, the Fusiliers were constantly shelled but, despite having no sleep, no supplies and little water, they kept the Germans at bay. Fighting alongside them were the 7th Northamptonshires in which Edgar Mobbs was serving. However, on the 27th September, a strong German offensive drove the British back from their hard won positions. The Fusiliers found themselves under attack from both their flanks and so were forced to retire. Even for the young and fit, the conditions suffered by the Fusiliers were utterly deplorable. But it is hard to imagine what it was like for someone approaching sixty with the responsibility of command suddenly thrust upon him. After all, he didn’t have to be there. But his unshakeable sense of duty drove him on. He put his men first and, in doing so, sacrificed his own life. “No man could have done better”. Richard Davies Garnons Williams is commemorated on the Loos Memorial to the Missing in northern France.